January 2014: Government appoints a Holocaust Memorial Commission to consider the need for enhanced remembrance of, and education about the Holocaust. 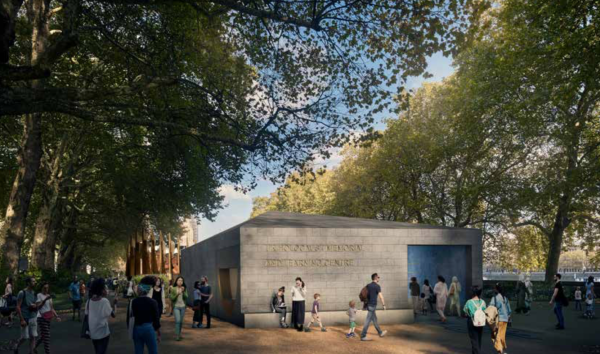 January 2015: Then Prime Minister, David Cameron, proposes a new Holocaust Memorial and Learning Centre in a central London site. Three particular sites were suggested - one of them was at the Imperial War Museum. Victoria Tower Gardens was not mentioned. announced ‘in the coming months’. 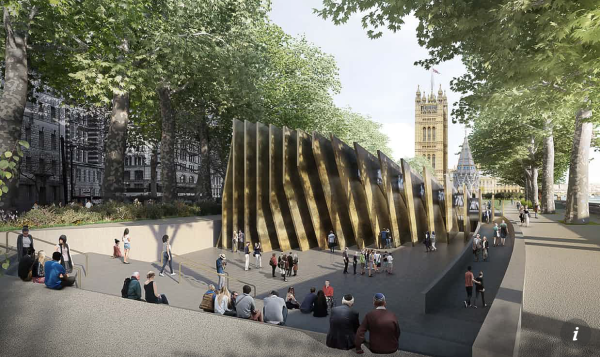 Later in 2016: The Government decides that the Learning Centre should be co-located with the Memorial in Victoria Tower Gardens. To read the Commission’s recommendations for the Learning Centre, click here. September 2016: Launch of competition. To read the brief, click here. November 2016: Out of 92 teams, 10 were selected to develop designs. January – August 2017: Public consultation of architects’ designs. 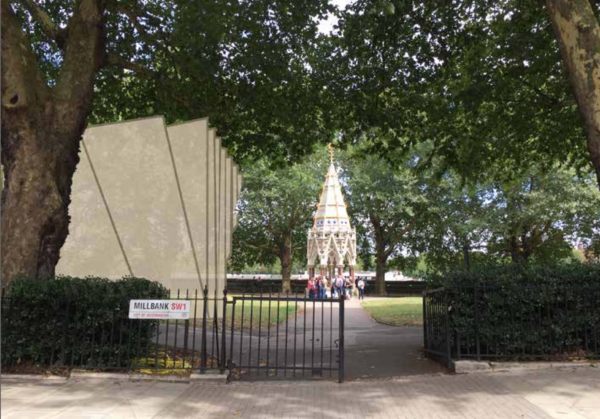 The soft whimsical drawings (above) from the public consultation do not reflect the harsh reality of the proposal (below). the park and Buxton Memorial and may destroy the trees that are planted near it. ​Queueing for the memorial and the Controlled Entrance security pavilion will be right next to the children's playground with the cafe the other side of the playground.